Harlingen High School South Counselor Valerie Paredes was recently recognized for her efforts to help students at the Harlingen Consolidated Independent School District on the path towards college and career readiness. 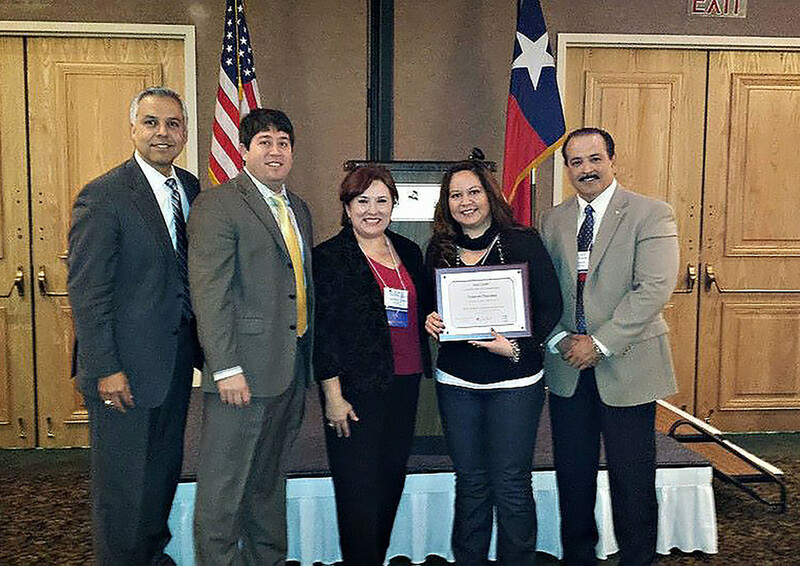 Paredes was named Rio Grande Valley (RGV) LEAD’s Counselor of the Year during its 2013 Regional Conference. The Counseling Excellence Award is presented to an individual who excels in meeting the vision and mission of the collaborative. It was a result of her efforts to bring career awareness and preparation between several groups such as career counselor, academic counselors, regular education teachers, CTE teachers, students, and parents. RGV LEAD is a partnership between education and business that prepares students for their futures in both college and the workforce. The partnership involves high schools, colleges and universities, large and small businesses, governmental agencies. These organizations work together to achieve the goal of providing the tools for students to create a successful future for themselves and community. As a former liaison for the RGV Mentors, RGV Lead, and MedEd programs, she has dedicated herself to helping students succeed. While at HHSS, the campus has seen more students in their CTE and Dual Enrollment programs than ever. In the past four years, the program has grown from the 2010 summer program in which 14 students earned 54 college hours to 2013 where in the spring program, 259 students earned 1,165 college hours. Paredes is currently a Ph.D. candidate in Rehabilitation Counseling at the University of Texas-Pan American and plans to continue supporting students in need. As a testament to her work, she has had an article published in the Journal of Alcohol and Drug Education. 57(1).